Cheryl Peters founded Glendale Heights in 1990 to ensure her own children had a quality early child care program to attend. They now work with her as she continues to work hard to guarantee that all the children at Glendale Heights have a program that will not only help lay the groundwork for academic excellence but will help them have the confidence that they can achieve anything that they set out to do. 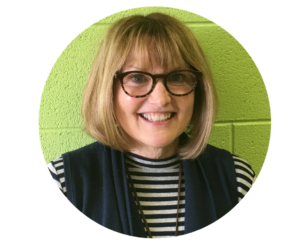 Cheryl’s educational background includes a Bachelor’s Degree in Elementary Education from Mount Mary University as well as an Early Childhood Administrator’s Credential and a Leadership in Early Childhood Credential from UW -Milwaukee. She is on the board of directors for the Milwaukee Chapter of WECA (Wisconsin Early Childhood Association) and a member of the WCCAA (Wisconsin Child Care Administrators Association). Cheryl’s role as administrator of Glendale Heights is to look at the BIG picture. She analyzes how the center can provide quality care now and in the future. It is her job to make sure Glendale Heights has the resources to maintain an exceptional staff, provide the materials needed for a superior program and ensures it is meeting the needs of its children and families. The most important part of her job is maintaining relationships with the children and families at the center and helping the staff find a good life/work balance. Michelle’s passion for children began at an early age playing school at home and while helping classmates with their homework. Her passion for working with younger children came after an opportunity to work at a Montessori school. She has home schooled her own children and had an in home child care center. Michelle’s experiences in group child care have included being an assistant and lead teacher, being a mentor teacher and starting up a church affiliated child care center. She is also a certified early childhood trainer and workshop presenter. While attending college for Secondary Education, Michelle had the opportunity to work full time in an elementary before and after school program. This was also another opportunity where her passion for working with younger children and reaching them at a younger age grew. Michelle continued her educational studies by achieving her Associates Degree in Early Childhood Education. She continued her studies at UWM and has the following three credentials from the university: Administrator, Inclusion and Leadership. Michelle is also a trainer in Ages and Stages, CSEFEL Pyramid Model and various other developmental trainings. Michelle was hired for 8 hours a week in 2002 to collect tuitions. Today she is in charge scheduling, tuition and enrollment. You can find Michelle not only in the office but also helping in the classroom, supporting teachers, reading books to the children or just saying “hi” and giving and getting hugs. Stephanie Hale has been immersed in the philosophies and values of Glendale Heights Child Care since the center opened in 1990, as one of the first students who attended the center and the daughter of Cheryl Peters. Stephanie first began working at Glendale Heights in 2004 as an assistant teacher in the Wolves Room where she found her calling with the school age students. Stephanie’s educational background includes a Bachelor’s Degree in Early Childhood/ Middle Childhood Education with a Department of Public Instruction Teaching License from Mount Mary University as well as a certificate in Child Care Administration. She is a member of WECA (Wisconsin Early Childhood Association) and NAEYC (National Association for the Education of Young Children). Stephanie is also currently working on obtaining her Master’s Degree in Administrative Leaders ship through University Wisconsin Milwaukee Graduate School. Stephanie’s role as Director of Glendale Heights is to support the Executive Director. She assists in keeping the day to day operation going as well as managing staff. Stephanie is also the head of the School Age Program, working directly with the teachers to ensure that they have everything they need to have a successful classroom. Courtney has been with Glendale Heights since January 2008 as the lead teacher in the Raccoon Room until being promoted to Assistant Director in September 2018. Courtney enjoys working in child care and watching children's minds absorb new information. She also loves to watch as children grow a love for learning and develop socially, physically and cognitively. Courtney's educational background is in elementary education in which she has a bachelors degree from the University of Minnesota and graduate credits from Cardinal Stritch University. Courtney's Role is to support the Assistant Director. Courtney also is in charge of all children files and medication logs and medication procedures for the center.